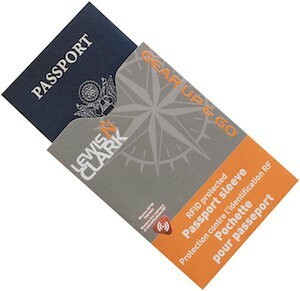 If you want you data that is stored in your passport to be safe then use a RFID blocking passport cover like this one made by Lewis N. Clark. This cover is just a simple sleeve so it does not take a lot of extra space but will block people from accessing the information from you passport and that of course makes you life a lot more secure and safe. The passport cover is tear and water resistant and that all makes it a great place to store you passport as it will be safe from physical harm to. 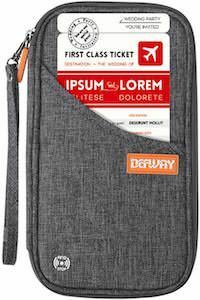 Now you can have a passport cover and luggage tag set that looks the same and just is nice. 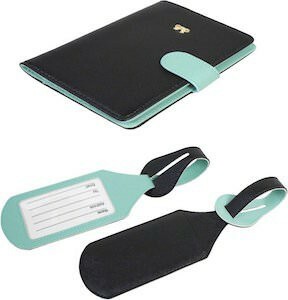 The set is available in many fun color combinations and includes two luggage tag that have rounded edges and a passport cover that blocks RFID and even has room for a pen, notes, and cards so that you have everything handy when you are traveling. Never having to worry about damaging your passport and even about people electronically stealing your identity will bring you some peace and traveling is stressful enough any ways. You should click the picture above to see all the options of this travel set. Of course you like your passport to look like new and you would love to keep your private info safe. And that is what this passport cover offers. 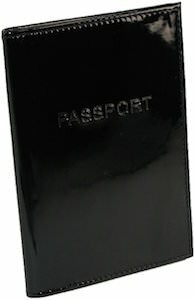 OK this is just a synthetic passport cover that comes in black, pink and green but it does a great job in keeping your passport like new and it block RFID so nobody can try to steal info from your passport without you allowing it. This may not be an amazing leather passport cover but it will get the job done and that is what counts. Passport covers are great. They not only look great but also protect your passport from damage. 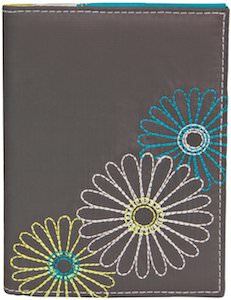 And now there is this fun daisy passport cover that also offers RFID protection so that people can steal your data when your passport is lying around. 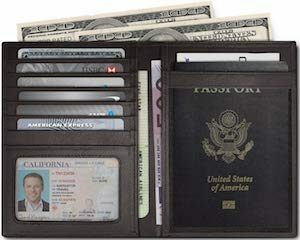 Besides storing your passport this passport cover also offers space for credit and ID cards and small paper work. So now your passport will be protected and you will be protect from identity theft. 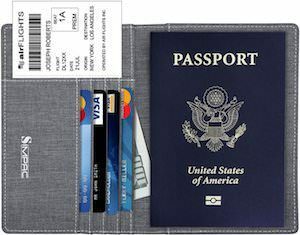 No more bend edges on your passport and keeping it out of sight.